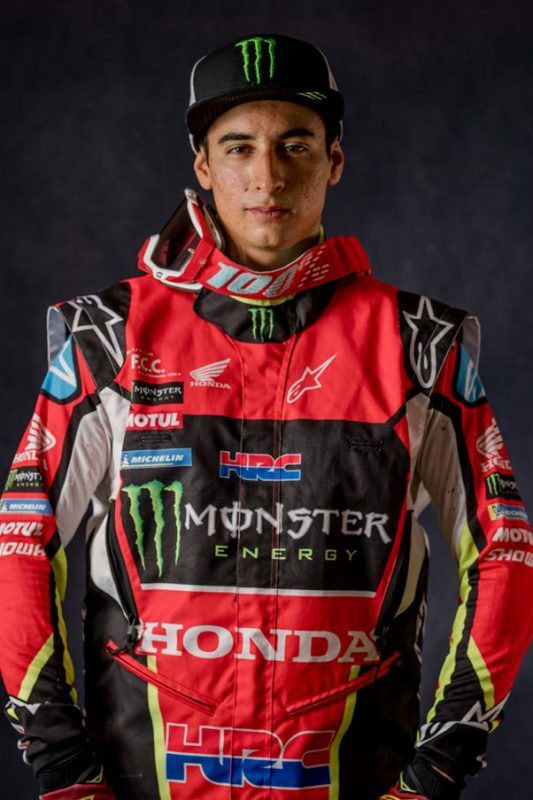 Monster Energy Honda Team rider Kevin Benavides remains on the provisional podium of the Abu Dhabi Desert Challenge after day three where he opened the track for much of the special stage. 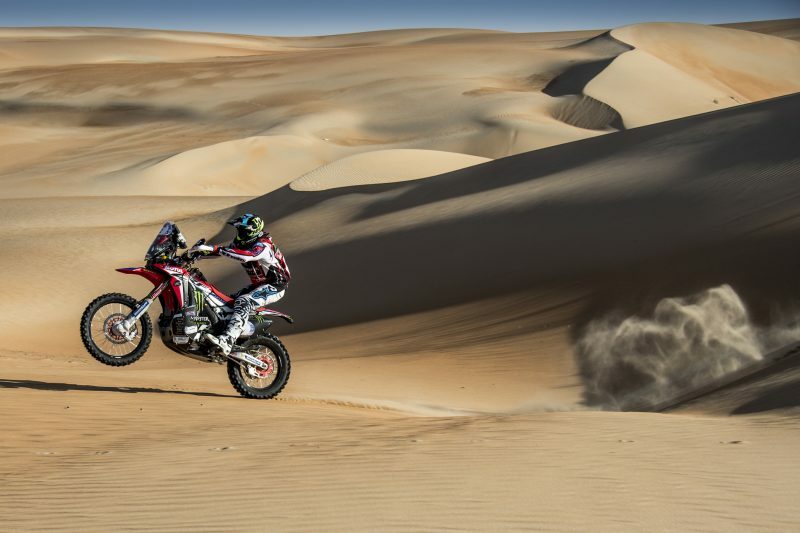 The Abu Dhabi Desert Challenge, the first round of the FIM Cross-Country Rallies World Championship, reached its halfway point today with the Monster Energy Honda Team still firmly in the battle. 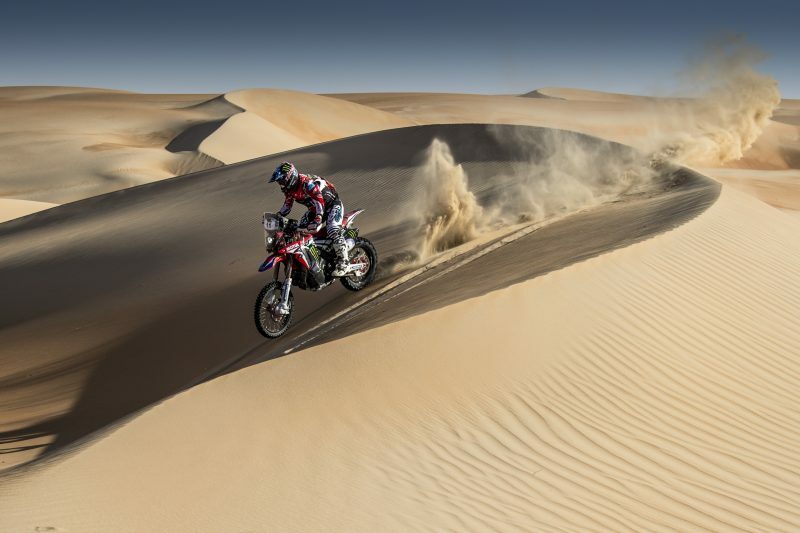 In this third of five stages, riders came up against more varied sections of the Liwa Desert: a more technical section at the beginning with huge dunes, many of them cut, before moving on to another much swifter section. The front riders eventually bunched into a group of four who rode the remainder of the stage together. 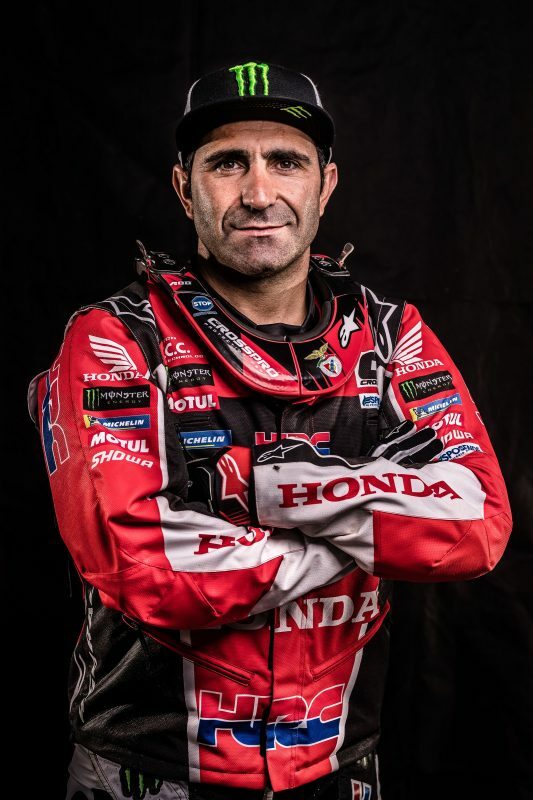 Kevin Benavides, who started second today, was able to hunt down the rider who opened the course, managing to pull ahead of the field over several kilometres, before being reached by the other riders. 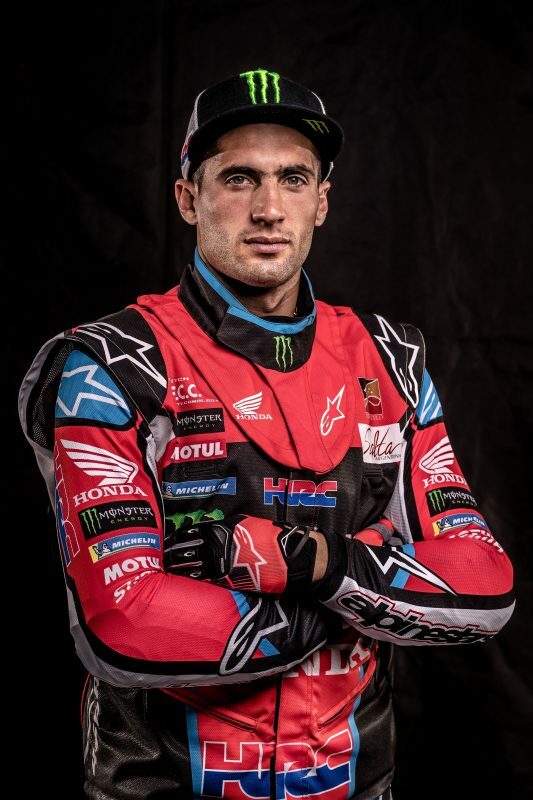 Benavides eventually finished third and holds third position in the overall standings. 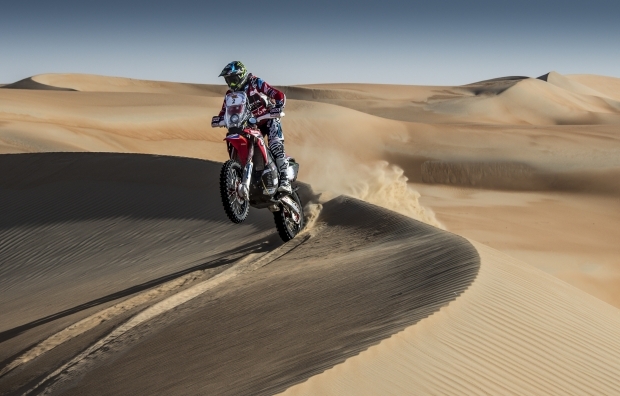 Tomorrow, Wednesday, sees the penultimate day of this Abu Dhabi Desert Challenge. Riders look forward to a 372.55 kilometre stage including 244.5 km against the clock. I felt good. 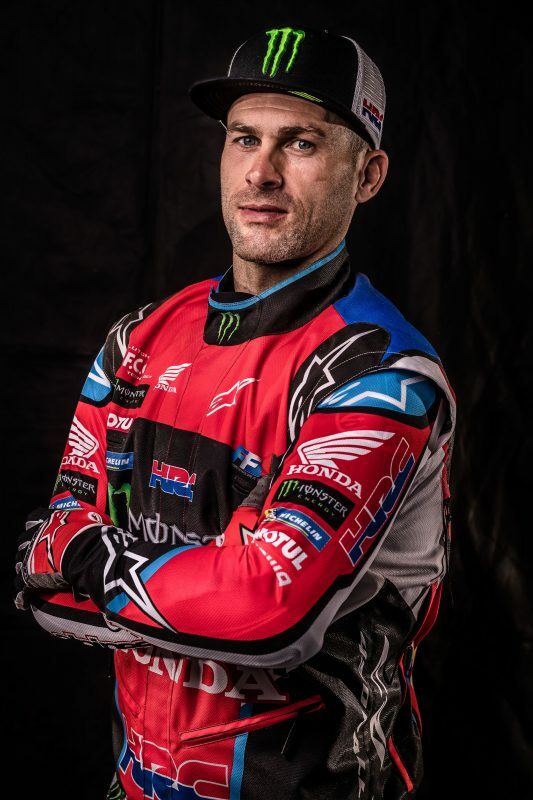 I went out to push hard and I was able to catch the rider who started first and then I had to open the track for quite some time. I felt very confident on the bike in this special desert. The bike has given zero problems. 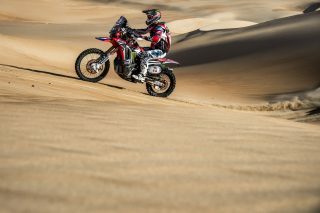 We have to keep on like this, pushing hard over the two remaining days of racing and see how things turn out in the end. 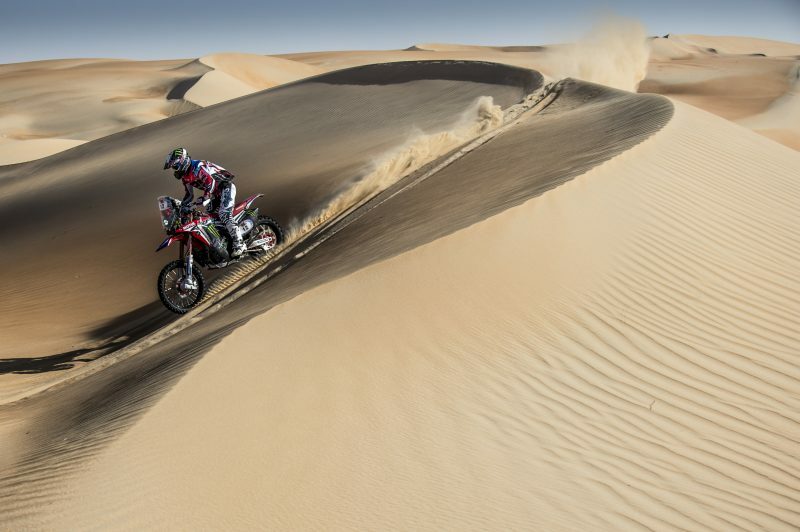 Another long stage full of dunes. 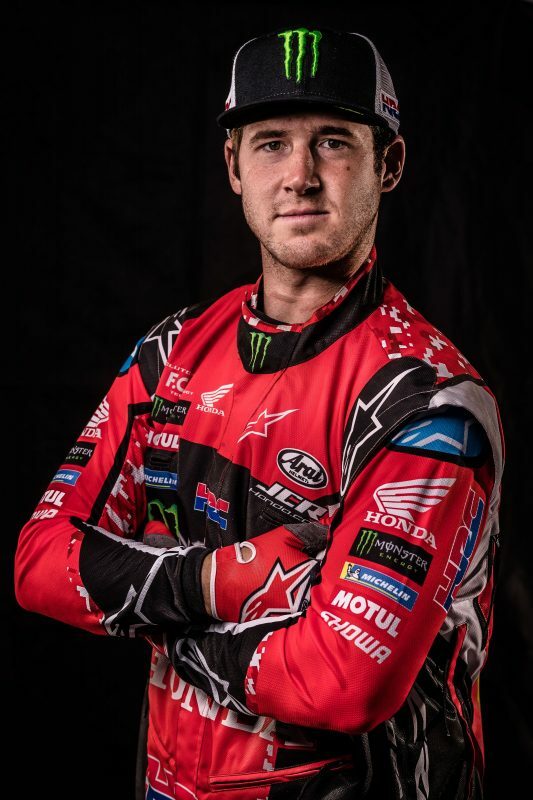 I felt pretty good at the start, and pushed with a fast pace. 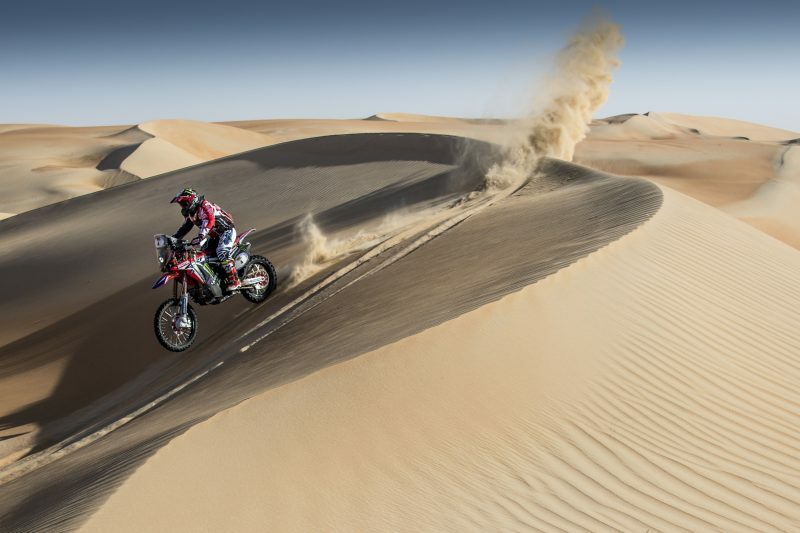 I caught the rider in front of me and we rode very quick until I fell at a cut dune and then got stuck. I slightly damaged my shoulder and until the end I had to take it a bit easier. 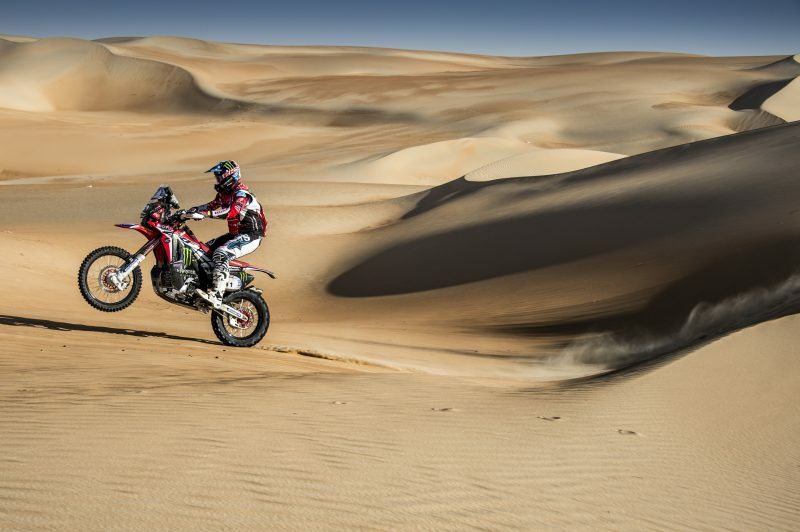 The objective is still to accumulate kilometres... and for the moment we are doing well. This third day was good. 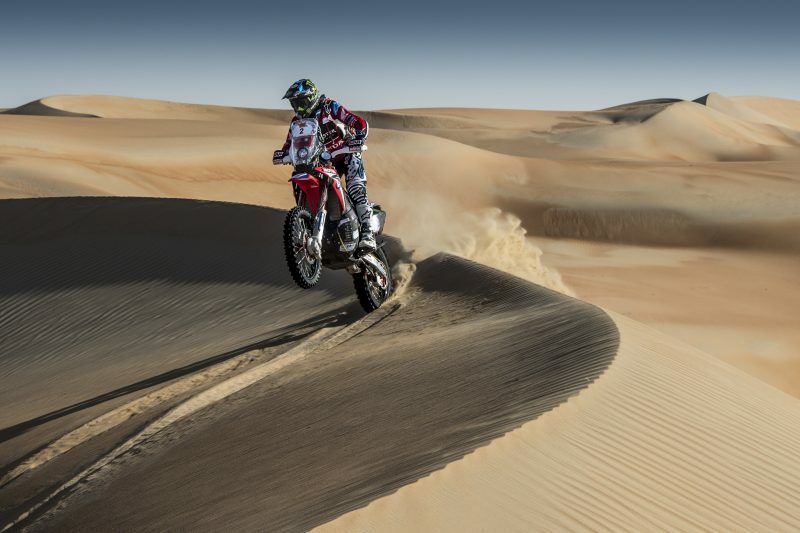 We got into the bigger dunes. It was very fast. 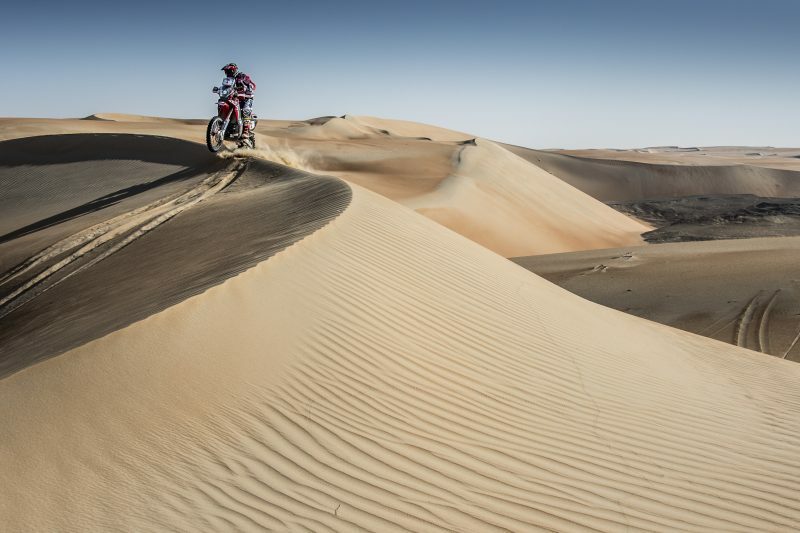 I don’t like it so much at high speeds in this type of undulation and rolling dunes, where you can’t see what’s on the other side. My body is not tired yet and we are ready to face the next few days. Today the special was different. 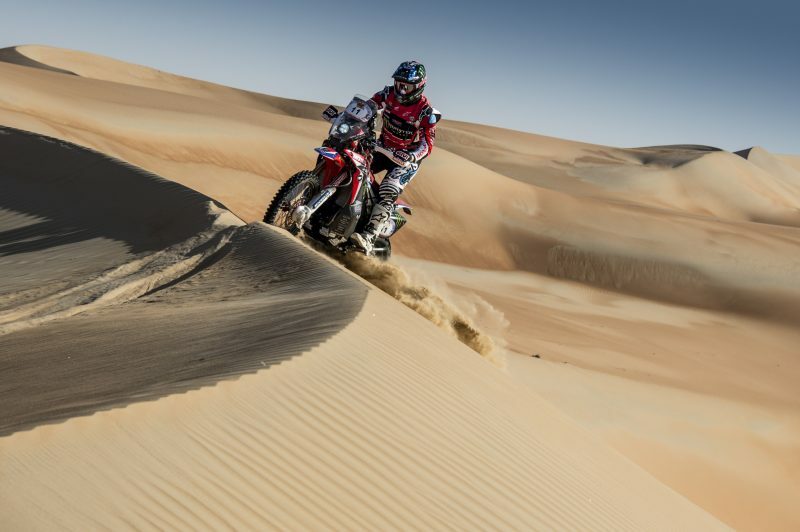 The start was more technical, with navigation in the dunes where you had to really grit your teeth and get into it. I had a good time. The bike went very well and in the second part, I was able to speed up in the dunes, some of them cut dunes, where it is never easy to go fast. 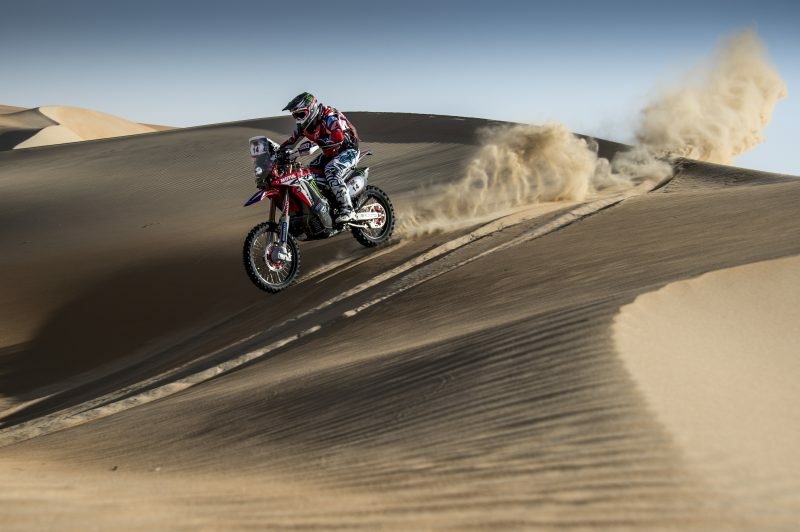 It was an entertaining stage, more complicated at the beginning and faster in the final part. I was able to set quite a good pace. There was less and less difference with those up in front. I felt better. 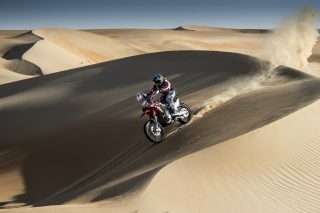 Now I’m reading the desert with greater confidence and hope to improve in the forthcoming days.